Tim Newton has some of the best views in the world each morning when he wakes up in his home in Flattop, Alaska. But recently, even he was taken aback by the sight that greeted him on his back deck. What started out as the investigation of a strange sound on the porch turned into the opportunity of a lifetime. 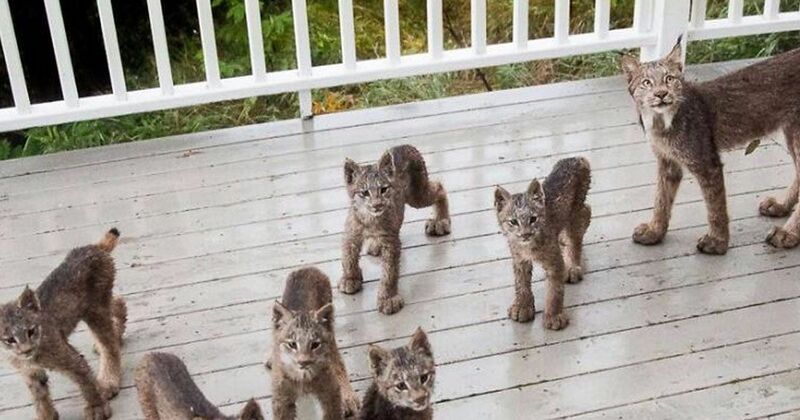 When Newton awoke and went to search for the source of the noise on his deck, he was shocked by what he saw prowling around: a mother lynx and seven kits! Initially, Newton thought the first kits he saw were house cats, but he quickly realized that these babies were too tall to be average cats. 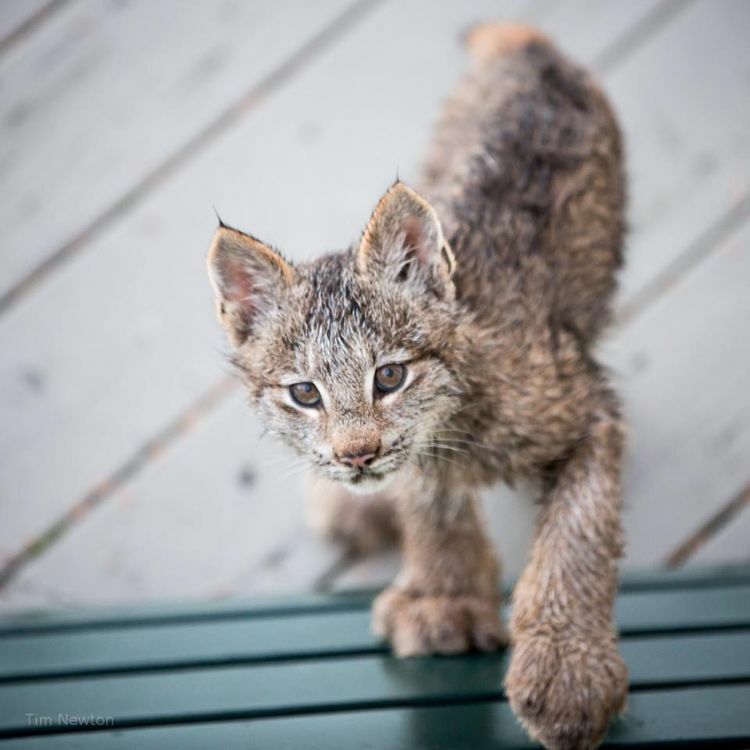 He looked carefully at the kits' ears, and saw the black tufts on the ears, a sure sign that he was looking at lynx cubs. 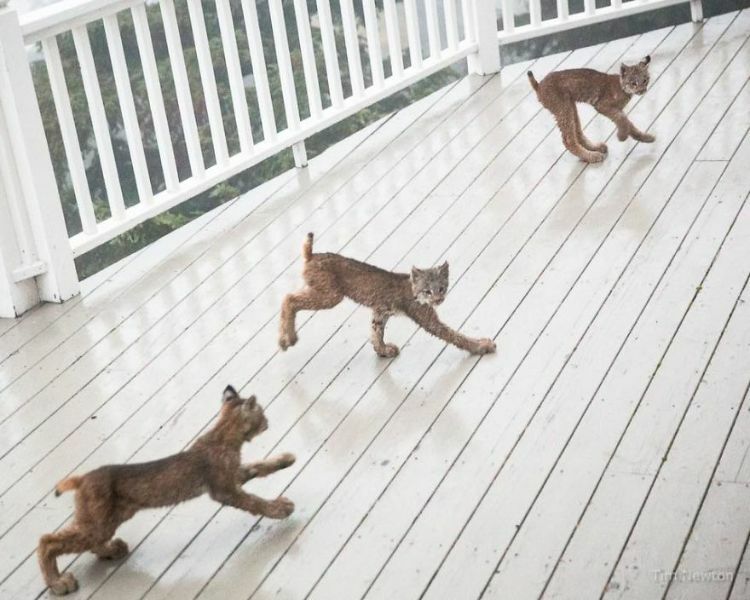 These seven kits were such a joy to watch playing on our deck! Mama was very watchful over them - taking a good long look at that nearby photographer and his clicking camera! It's amazing that Newton was able to get so many intimate and beautiful pictures of the lynxes because they are such an elusive, shy species of wildcat. 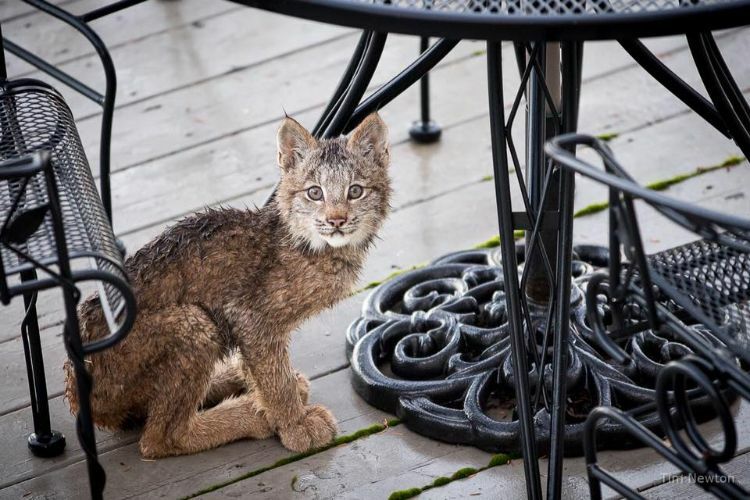 While they can be found in the very forested areas of Alaska, they are far less likely to be found near major cities, such as where Newton's home is located. 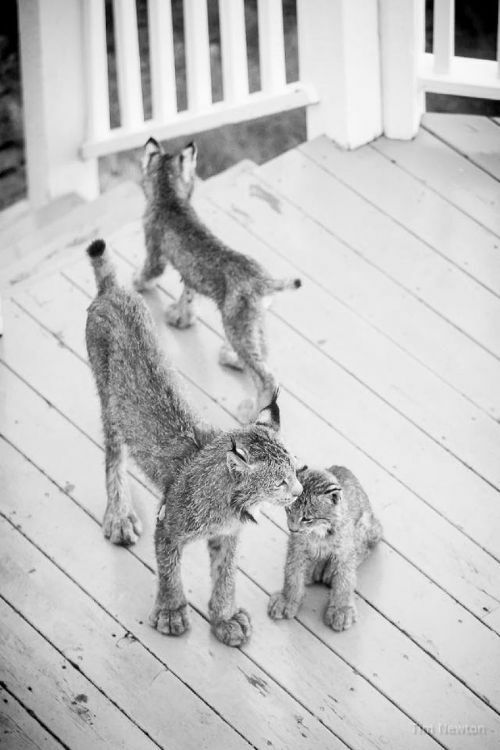 Newton caught sight of the mother lynx who promptly led her kits up onto the porch en masse. 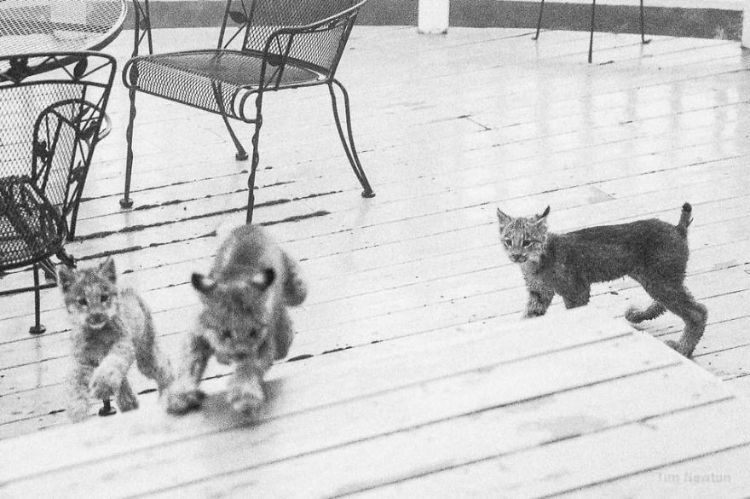 He went to the second floor of his home to take overhead shots all the while being careful not to scare the cats off. Newton returned to the first floor, and peering carefully out the window, snapped some gorgeous close-ups of the babies. 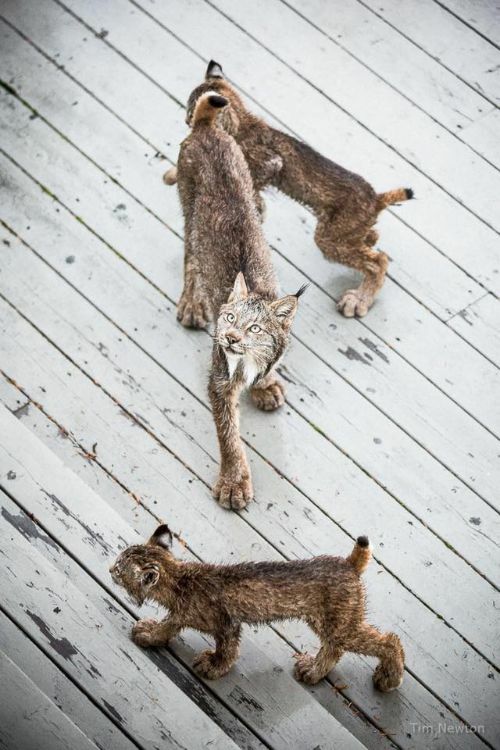 After forty minutes of play, the mother lynx called the kids together, and they all disappeared into the nearby woods. Newton is amazed at the experience, especially as the kits were in such a playful mood, a state not usually characteristic in lynxes. However, cats will be cats, whether they're wild or domesticated!